"My goal is to enhance the celebration of daily life and enrich its simple joys. I think a well made pot should be able to function well and elevate the daily routine of eating and drinking to an artful and enjoyable experience." 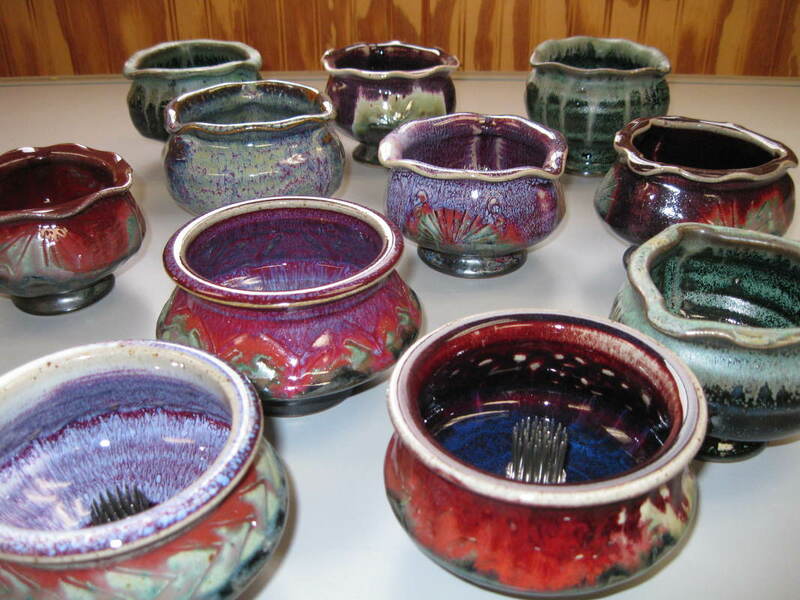 Each piece of pottery is hand crafted by me. First its thrown on the wheel then it may be altered or added to in order to change it's form. 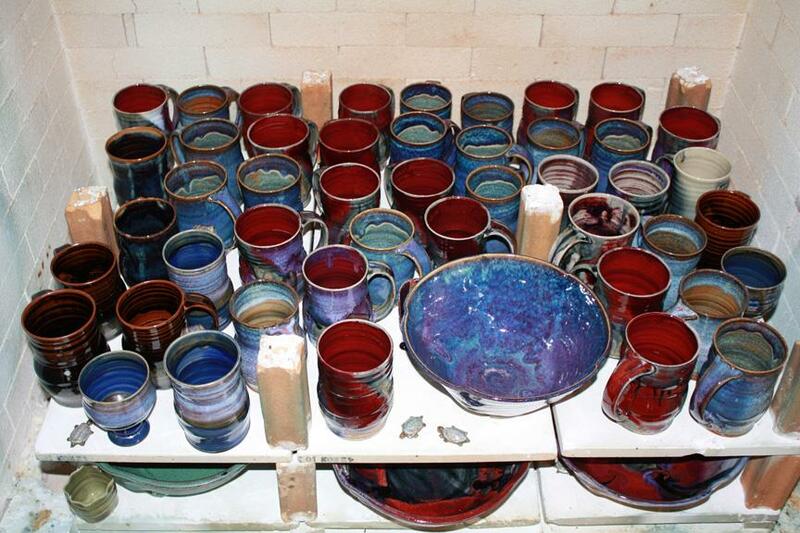 It's high fired in a reduction kiln to around 2300 degrees. Each firing takes around 12 hours to complete then another 24 hours to cool. All dinnerware and serving ware is lightweight, food, dishwasher and microwave safe. I've lived in Indiana most of my life and find inspiration every day in nature, wildlife and my community. For me, making and selling pottery is a way of life, not a job. I started working with clay as a teenager. I had a wonderful ceramics teacher in high school and she was always an inspiration to her students. I picked up some elective art classes in college and it was all over from there. 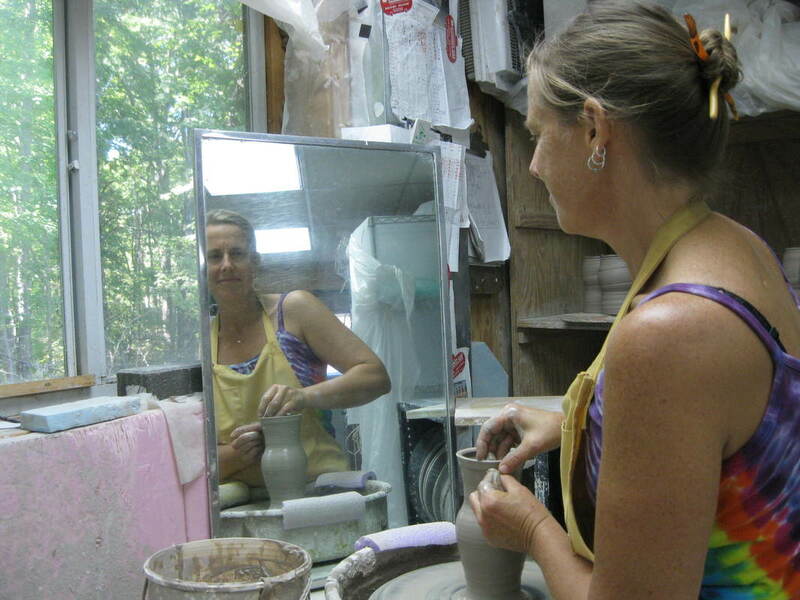 I continued with my ceramic education after graduating through craft school work shops at places like Arrowmont in Gatlinburg Tn. and more college ceramics classes as well as learning from being the resident potter at a community arts center. Now I split my time between making pottery, gardening, traveling and find it a really fulfilling life path.